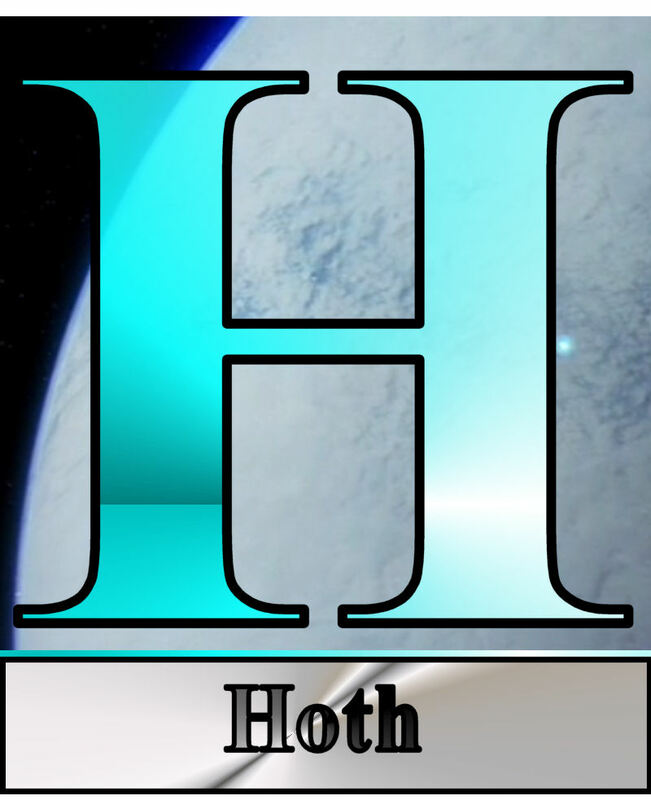 We wrap up the first full week of my Star Wars ABC's with "H."
There is cold, there is antarctic, and then there is Hoth. A planet so inhospitable, its natives whither and die in the unrelenting conditions. So remote, it seems outside the infinite grasp of the Galactic Empire. So hopeless, everyone back at Echo Base thought the planet claimed the lives of Han Solo and Luke Skywalker. If there is one lesson to be learned from The Empire Strikes Back, it is that you shouldn't go to Hoth. Ever. Because an Ice Wampa will try to eat you. Imperial Walkers will come knocking at your door. Walter Donovan from Indiana Jones and the Last Crusade will be aboard one of these walkers and destroy the reactor powering your precious defense shield. The answer to all these questions is a resounding "NO." MONDAY: The letter "I." Because love isn't in Han Solo's vocabulary.